Mark Langreder, 41 of Crete,IL passed away peacefully on April 13, 2019. Mark was born on February 3, 1978 in Chicago Heights, IL the son of Harry and Patricia Langreder. 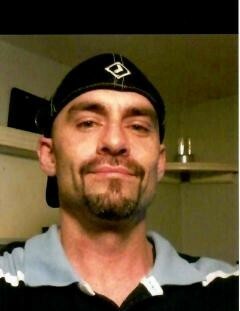 He is survived by his mother, he was the loving and proud father of Dezirae and Dylan Langreder and Alexander Ohrt. He is also survived by his siblings Phil (Tammy) Hitzelburger, David Langreder, Robert (Angie) Langreder, Danny (Mary) Langreder and a sister Brenda Krapf nee Langreder. He was also a proud uncle of many nieces and nephews. He is preceded in death by his father, a brother Jason Hitzelburger and a niece Savannah Hitzelburger. Visitation will be held Wednesday April 17, 2019 from 3-7 p.m. at Hack Funeral Home. Funeral services will also be conducted Wednesday April 17, 2019 at 7:00 p.m.at Hack Funeral Home. Rev. Ron Rock will officiate. Cremation rites will be accorded. Memorials may be directed to the family for a memorial to be established.